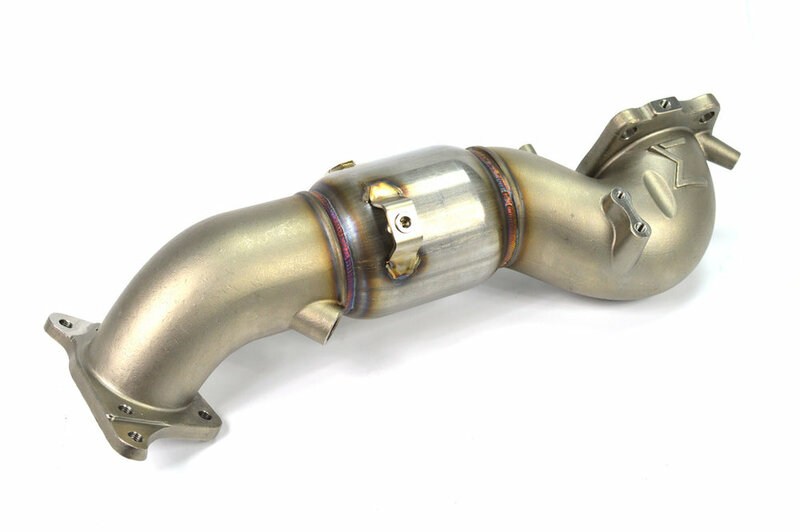 27WON is proud to announce the launch of our Performance Downpipe for the Civic 1.5L turbo engine found in the Civic Coupe, Sedan, Hatchback, and SI. 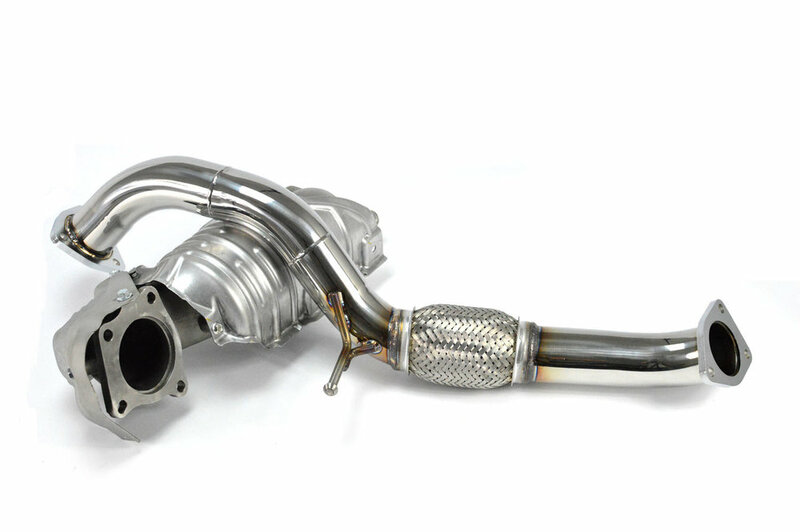 The long wait for the most comprehensive performance downpipe for the Honda Civic is finally over. If you’re new to the 27WON community or looking for a refresher on performance Downpipe design, check out our Part 1 and Part 2 blogs. How did we look to REDEFINE with our 10th generation Civic downpipe? Like our Cold Air Intake System it’s not just about one feature. It’s about the design of many features that were incorporated into one complete design to deliver a part unlike anything else on the market. For obvious reasons fitment is critical to a downpipe functioning correctly. At 27WON we took fitment to the next level, beyond even our decision to use cast stainless steel inlet and outlet flanges for our downpipe. This is where thermal management comes in. We believe it is important to maintain the use of the OEM heat shields that Honda spent many hours design and testing. Our Downpipe utilizes both the upper and lower heat shields. These bolt directly to the cast inlet flange and laser cut 304SS brackets. Installing our downpipe with heat shields also helps maintain a stock looking car; keep the po-po’s glance under your hood short and uninteresting! More on fitment, the 27WON Downpipe will bolt up to the OE Front Pipe or even better, for increased power potential and awesome turbo noises you can pair it with the 27WON Performance Front-Pipe for a complete package. The ultimate purpose of a performance downpipe is to reduce the back pressure of the exhaust system, specifically right at the turbine outlet. Why does back pressure matter? In a nutshell, the turbine wheel in a turbocharger spins due to the hot exhaust gases passing through it. Reduced pressure at the turbine outlet helps the turbocharger spool faster and increased peak potential flow through the turbocharger, and therefore the engine. 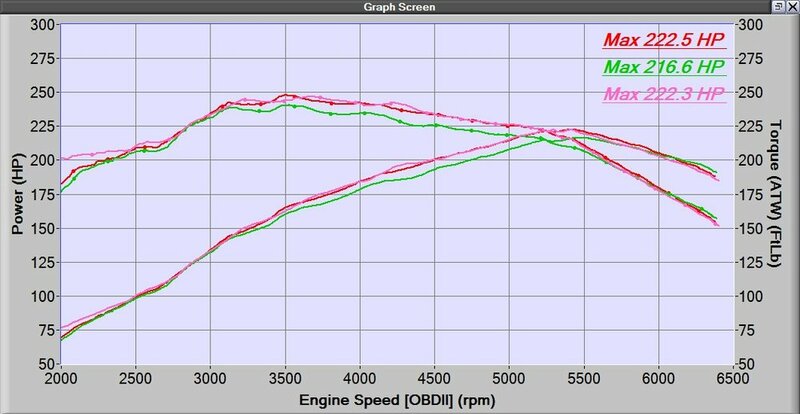 With no tuning differences our Performance Downpipe provides a peak gain of 13wTQ & 13wHP with a consistent improvement of +6wHP from 3200rpm to 5400rpm. What’s interesting is the nearly identical power gains between our Race and Street versions of the downpipe. This means you don’t have to sacrifice power to run our downpipe with a catalytic converter. Lastly, you don’t have to worry about a CEL (check engine light) with the 27WON performance downpipe. We’ve got you covered whether you choose our downpipe with the catalyst or without. We recommend you purchase our Performance Downpipe with front-pipe (our best deal) or the whole Turbo Back Exhaust for the ultimate package (for lucky Hatchback Sport owners).. For Si owners, our Downpipe and/or front-pipe are available now, exhaust coming soon!